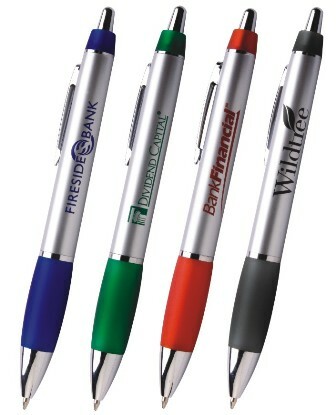 Classic Looking Retractable pen. Matte silver barrel. 250 1 color(s) imprint at $222 ONLY $0.89 each. 500 1 color(s) imprint at $299 ONLY $0.60 each. 1000 1 color(s) imprint at $453 ONLY $0.45 each. 5000 1 color(s) imprint at $1,860 ONLY $0.37 each.